It is one of the best techniques for representing water. Beautiful fusion of colors and very beautiful colors. 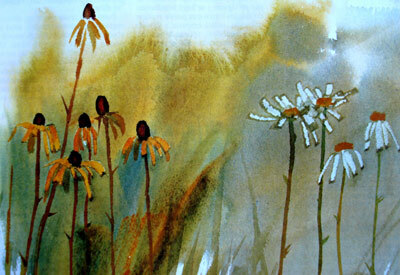 If we known how to work the watercolor, the light is radiant and powerful. The graphisme and the textures of the material, usually with thick grain paper, gives a great plastic quality. The material to be used as support must absorb the liquids as this technique works with the fluidity of the paint dissolved in water and that is fixed when dried. This implies a limitation of materials. If you do not use a material that absorbs liquid paint, the watercolors will slide and will be impossible to control forms. Since the materials should absorb water, it’s often used the paper and the cardboard. Both materials are fragile and require care. We must prevent cracked, leaking, while we paints, and we must protect the work from light, because the artwork lose color. Of course, we must keep the work with a glass and a frame. The large size is limited because of the limitations described. It would be quite hard to paint on an enormous dimensions paper, although not impossible, of course. It’s easy to do it on separated papers and put them toguether later. Control of the reserves technique and how to paint from light to dark. (There’s not an additive technique as oil. We won’t be able to correct many times adding paint on top). 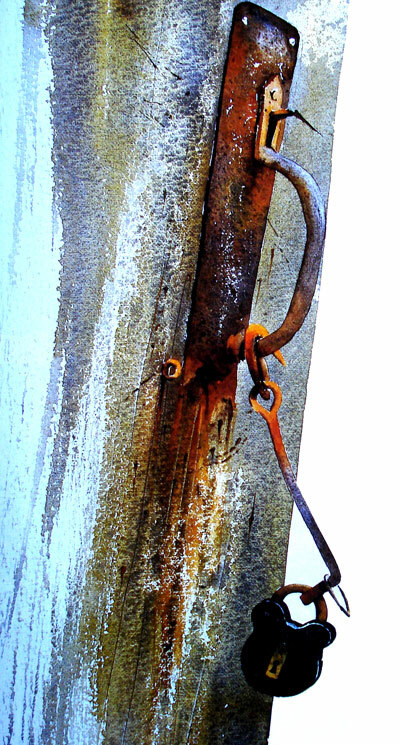 Flow and thickness control of the paint. Control of the support, paper, drying capacity … water , stay still !!! To know how to do reservations on the paper to get the light and the shapes we want. Getting how not to damage the paper with any of the millions of possible ways that there are to damage it. Do not abuse of paint and brushstrokes. Apply just enough and the definitive paint. Everything in its right place and meticulously measured. Control of the composition with the reserves techniques. And above all, how to choose the right theme. 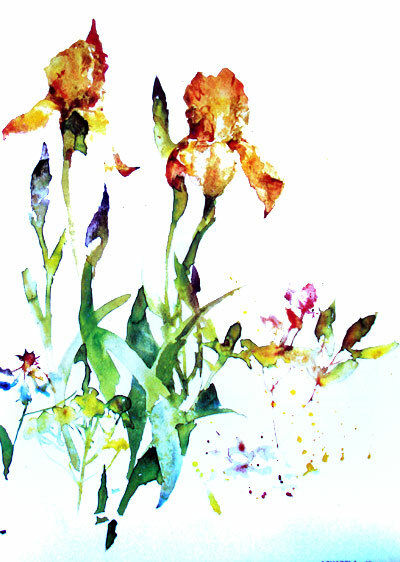 Watercolors made with the technique of dry brush. 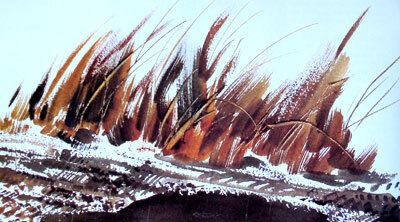 Artwork made with chinese goat hair brushes ond bamboo that provide greater capacity to the dry brush technique. 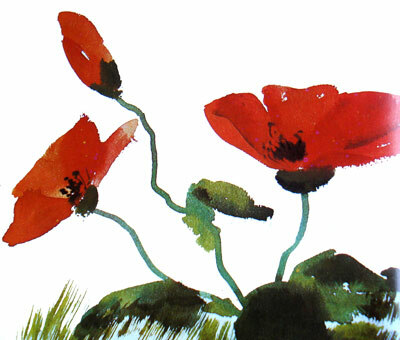 Poppies painted with touches of short and wide strokes, made with a twist of the wrist. Watercolor is dodgy but very grateful. Especially if you have been grateful with the store of materials (paper and brushes).